Don't let the name confuse you. Niacinamide is simply another name for Vitamin B3. Both niacinamide and nicotinic acid are different variations of the same vitamin B3 (but they have slightly different properties). Niacinamide is just as potent as nicotinic acid on your skin but has fewer side effects which are why we are going to discuss it today. We all know that the B Vitamins are great for your body and for your cells. After all, have you ever tried a B complex vitamin? Did it help you with your energy? The changes are high that it did. But what about using B vitamins on your skin, topically? It turns out that while scientists were aware of the importance of B3 for your body, they only recently found out how beneficial Vitamin B3 is when it is placed directly on the skin. You may be tempted to think that by consuming a B3 supplement that it will automatically make it to your skin, but this doesn't turn out to be the case! If you ingest a supplement by mouth (such as niacinamide) it has to go through virtually every other cell in your body BEFORE it even gets a chance to get to your skin. Because of this, it's often much better and more effective to place the B3 directly on your skin. This mode of using vitamins and therapies on your skin directly is called transdermal placement or topical placement of vitamins and it's not new in dermatology. In this article, we are going to discuss the amazing benefits of niacinamide and I'm going to give you 8 reasons to try it. Believe it or not, it's actually hard to find vitamins and nutrients that have been well studied and proven to impact the skin! In the world of skin care, many therapies are often promoted simply because they work for some people. But this doesn't mean that they will work for everyone! So, it's actually quite rare when we find a well-studied vitamin or nutrient that can impact the skin. And niacinamide is one of those. There are at least 10+ clinical studies and trials which show that this vitamin has seriously beneficial effects on the skin. Below I've listed the top 8 most important benefit of niacinamide on your skin and I discuss how they work. First and foremost, niacinamide acts as an anti-oxidant in the body. We all know what inflammation is and we all know you don't want a lot of it going on in your body. Inflammation accelerates the aging process, damages your cells, causes premature aging, and increases your risk of developing other medical conditions. Pretty much anything you can do to reduce inflammation is great for your body and for your cells! Niacinamide helps reduce inflammation by raising cellular levels of something known as glutathione. Glutathione is the master anti-oxidant in the body which helps keep your cells protected from damage, infection, and cancer. It also helps prevent DNA degradation (keeps your DNA intact). You may think that wrinkles are one of the biggest complaints that people have as they age, but another big one is the fact that our skin tone changes as well. As we age it's not uncommon for our skin tone to become uneven. For us to develop age spots or dark spots in certain areas. This imbalance of pigmentation often makes the skin look older than it really is. All disorders that result in pigmentation changes to your skin fall into the category of hyperpigmentation and treating this condition is a top priority! 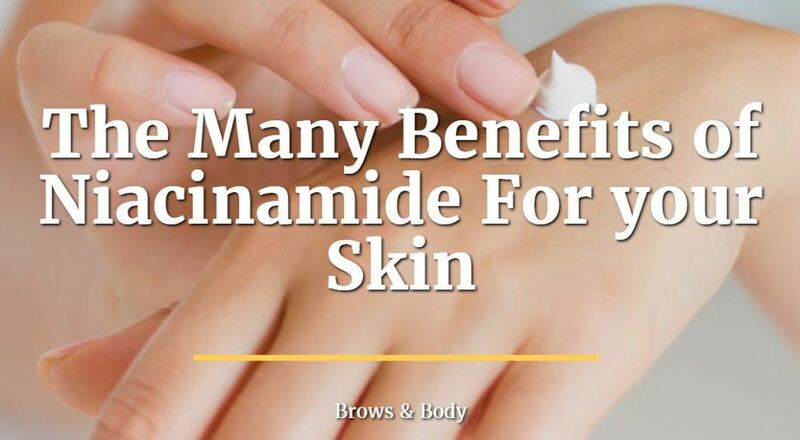 Many therapies including hydroquinone, arbutin, and kojic acid have been shown to light up the skin and even out skin tone and included in this list should be niacinamide. Niacinamide has been shown to lighten the skin by suppressing melanosome transfer into your melanocytes. 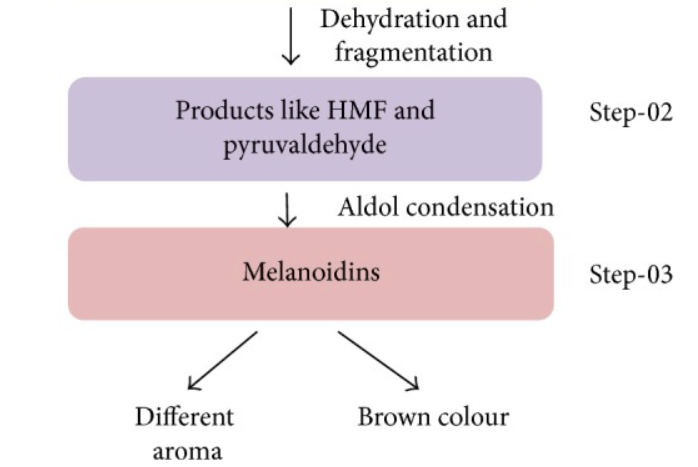 The more melanin your melanocytes have the darker your skin will be. If you can prevent this process from occurring (or at least even it out) then you'll be on your way to reducing skin hyperpigmentation. Did you know that your skin turns slightly yellow as you get older? This reaction occurs as your body browns sugar molecules. It's the same process that occurs when you cook foods and it's why they turn brown! It's called the Maillard reaction and it happens inside of your cells and skin. While your skin is not cooking, it does turn yellow as you age. Niacinamide has been shown to slow down this reaction which can act to decrease the yellow tint that your skin can get as you age. 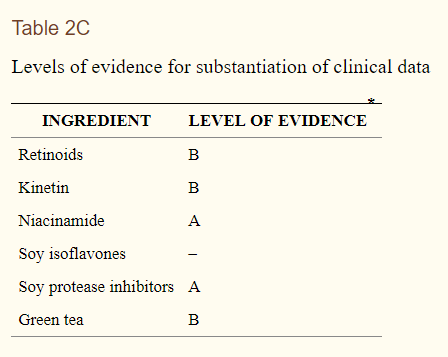 This process probably happens because B3 acts as an anti-oxidant. Ever notice how some people are more sensitive to chemicals than others? Some of us can come into contact with harsh chemicals that seem to bounce right off of our skin. Other people react with all sorts of irritation whenever they come into contact with even lightly irritating substances. Part of this difference has to do with the integrity of your skin and how likely it is to prevent the absorption of these chemicals. If these chemicals just bounce right off of your skin then they probably won't cause any issues. If they get absorbed, even just a little bit, then they can wreak havoc. Using niacinamide can help increase the barrier function of your skin (the epidermis) so that you are less likely to react to certain chemicals or substances. That doesn't mean you should run out and use harsh chemicals, though! Be gentle and kind to your skin, even if you do decide to use niacinamide! We all want to keep the young and beautiful skin that we had when we were younger. At pretty much any time in your life, you can look back at an earlier time and think about how good your skin looked then. Have you ever seen pictures of yourself from 10 years ago? Even though you 'look' the same, there's something seriously different about your skin. We often refer to people looking like 'babies' and much of this has to do with how fine their skin looks! This has sparked interest in all sorts of therapies designed to help reverse or stop the aging process. Some of these therapies work better than others, but one of these therapies that actually works quite well is the use of niacinamide. It works by increasing dermal collagen and protein production in your skin. Collagen is the substance that forms the framework of your dermis which tends to fade as we get older. As you age, your collagen fades which causes your skin to sink in and produces wrinkles. Anything you can do to stop this process will help you look younger! It's helpful to think of your skin as one massive organ. The entire goal and function of your skin is to prevent bad things from getting into your body and to prevent good things from leaving. One of the good things that you don't want leaving your body is water! You are more water than you realize (in fact more than anything else) and this water is also very apparent in your skin. How much water your skin contains will have an impact on how "hydrated" your skin appears. Dehydrated skin is sunken in, looks old, has wrinkles in it, and is otherwise not very attractive. Hydrated skin, on the other hand, is the exact opposite. It is plumped up, full of vitality, and makes your skin appear younger. We can measure how effective your skin is at keeping water in by looking at something called transepidermal water loss. If you can reduce this transepidermal water loss then you are heading in the right direction because you are keeping water inside of your cells and preventing bad things from coming in. And that's exactly what niacinamide has been shown to do. It helps reduce the TEWL probably by increasing the production of ceramides and other fats in your cells. This is probably another one of the mechanisms by which this vitamin helps keep your skin looking younger than ever. If you don't know much about melasma then I would recommend that you check out this post. Melasma is a hyperpigmentation disorder which primarily occurs in women with darker skin and often occurs around pregnancy. No one really knows what causes it (not even dermatologists) and this makes treatment very difficult. The standard treatment focuses on using certain therapies, such as hydroquinone, to help lighten the skin. One of the problems with this approach is that hydroquinone is associated with all sorts of potentially negative side effects. That's where niacinamide steps in. In head to head clinical trials, niacinamide has been shown to help reduce the hyperpigmentation associated with melasma! In fact, studies found that up to 44% of people who use niacinamide noticed a reduction in pigmentation without experiencing negative side effects. This means that niacinamide can be a useful tool to help treat and reverse melasma. In addition, it might also serve as another potent tool to treat other hyperpigmentation disorders! Ultraviolet light is known to be dangerous to the skin and can even lead to skin cancer. This is why so many dermatologists recommend that you use sunscreen because it helps block these rays! What you may not know is that ultraviolet irradiation (especially UVB rays) suppress your immune system which may increase the risk of developing skin cancers. Your immune system does more than prevent you from getting sick, it also acts to kill off bad and cancerous cells. While it's not possible to avoid all sunlight (and you shouldn't try because then you'll get vitamin D deficient) niacinamide may be able to help if you get accidental exposure. We know that niacinamide (according to some studies) can prevent the suppression of your immune system when exposed to ultraviolet light. This means that it may be used as a protective cream to use in addition to sunscreen. Preventing skin cancer may be low on your list of important functions (especially if you are younger) but it's still an important benefit that stems from this vitamin! Can you get all of these benefits with facial products? #1. Find facial products which contain niacinamide (not nicotinic acid). #2. Find facial products which contain at least 2% of niacinamide (smaller doses don't seem to work as well). #3. Look for high-quality brands and avoid cheap products that contain other inactive ingredients. #4. You can use niacinamide with other ingredients such as topical retinol and vitamin C serum. Unfortunately, one of the biggest drawbacks of using niacinamide is the cost! It turns out to be one of the more expensive products and may require you to splurge a little bit. If you are budget conscious then I would recommend a product like Vitamin C serum which can still provide plenty of benefits. This product contains a combination of resveratrol and niacinamide both of which are powerful anti-inflammatory agents. You can also find niacinamide inside of this product by SkinMedica (link to Amazon) which is more designed for older skin and for anti-aging. You can't go wrong with either product, just make sure that you buy from a reputable source to ensure that you are getting a high-quality product! Niacinamide is generally very well tolerated! That means that most of you will not have a problem when using this vitamin directly on your skin. The most common side effect seen while using it has to do with skin flushing. But don't worry, this side effect is usually temporary and not harmful but it may be annoying. Redness and flushing of the skin can also occur when taking vitamin B3 by mouth (you know what I'm talking about if you've ever taken a high dose!). This can be avoided by using small doses and by only placing a small amount on your skin at a time. If you find that you are sensitive to the flushing simply try using it once every other day instead of daily. Other side effects may include irritation (rare) but this will go away when you stop using it. Niacinamide, also known as Vitamin B3, is a highly effective vitamin which can enhance your skin at multiple different levels. Daily use of niacinamide can help prevent yellowing of the skin, enhance skin moisture, slow down the aging process, protect your skin from cancer, and even out your skin tone. These benefits have been well documented in the scientific literature where you can read more about them! If you choose to use this vitamin make sure you find a high-quality product and try to find one that contains niacinamide (instead of nicotinic acid). Are you currently using niacinamide?